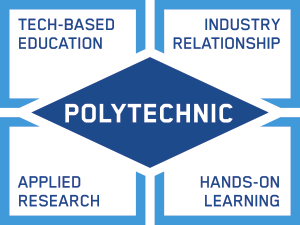 What is the JAMB cut off mark for Polytechnics in Nigeria? This is one question that several candidates are searching for answers. JAMB UTME candidates who selected their preferred institution and Polytechnics during JAMB Registration, and sat for the recently concluded CBT exam, are eager to know the jamb official cut off marks for Federal and State polytechnics. For those who are eager and can’t wait to Know their polytechnics cut off mark for admission, can now check below, and see the complete comprehensive list of JAMB Cut off marks for Polytechnics in Nigeria. Using this Medium, I would love to reach out to all prospective candidates, who partook in the just concluded JAMB CBT examination, that the jamb cut off mark for polytechnics in Nigeria is out, and the major reason of cut off points, is to help all applicants know the criteria for entering into their preferred institution of choice and to get them well prepared for life in the tertiary institutions. Arranged below in Alphabetic order, is the list of Federal and State polytechnics and their cut off marks in 2019. There you have it, the complete list of JAMB Cut off marks for Polytechnics in Nigeria 2019. Hope you find this information helpful, since it includes both state polytechnics and Federal own polytechnics.